Don’t hit the panic button just yet, but stepping out of the daytime talk show spotlight has crossed Ellen DeGeneres’ mind. In fact, she almost didn’t even extend her current contract through the summer of 2020. In a forthright interview with The New York Times published on Wednesday, DeGeneres revealed she has considered ending The Ellen DeGeneres Show for quite some time. She may have already left had it not been for advice from loved ones — as mixed as the messages she receives are. On one side, urging her to stay, is her brother, fellow comedian Vance DeGeneres. On the other, encouraging her to leave, is her wife, Portia de Rossi. And not surprisingly, that constant push and pull can breed tension. It might be precisely the kind of shift in perspective DeGeneres needs. After 16 seasons of her show, DeGeneres has become inextricably linked to her daytime TV persona by fans. She is often stopped on the street and asked to dance by total strangers. DeGeneres’ disinterest in dancing isn’t indicative of an attitude problem, as persistent tabloid reports claim about her — reports that DeGeneres insists are “an outright lie.” Rather, they’re indicative of a woman who is much more multidimensional than the unfailingly chipper version audiences see on TV every day. 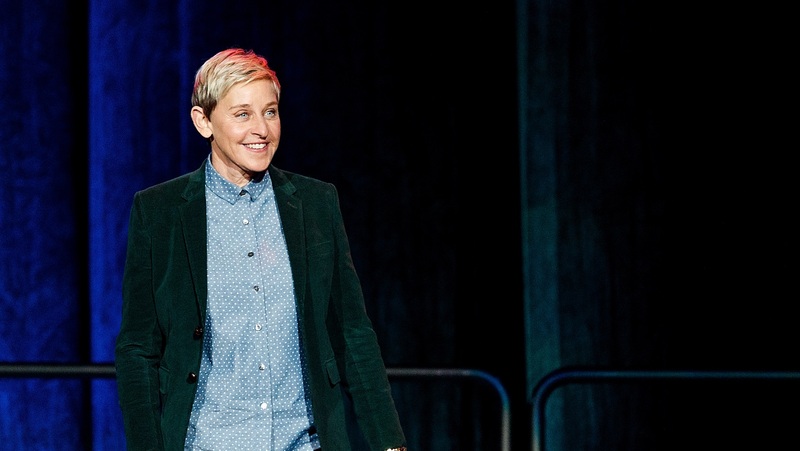 For DeGeneres, it is important for fans to finally see that what you see isn’t all you get.